Clay is all about the process. It is not an art of immediacy. You create & wait days for it to dry. You place it in the kiln to fire & wait (usually close to 8 hrs plus time to cool down before opening the kiln). You glaze the work, place it back into the kiln, fire it, & wait (another 8 hrs plus time to cool down before opening the kiln). If you are all about instant gratification, clay is probably not for you. If you try to fire the clay too soon it might explode. If you open the kiln too quickly after firing the clay could crack from rapid cooling. If you don't place enough coats of glaze on the clay before firing it again, the color could be less vibrant or the glaze will not fire to a beautiful glassy finish. There are many things that could go wrong if you rush the process. 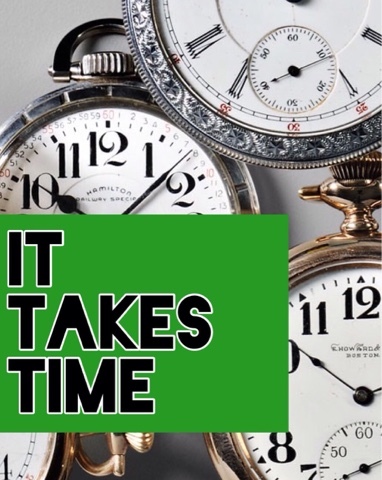 It takes time....and that's ok! Our journey as believers is just that....a journey. It is not something to be rushed. You are where you are....and that's ok. I've seen many become frustrated when they feel they should be "further" in their walk with God. When they struggle with doubt, temptation, lack of knowledge, lack of experience....they beat themselves up over it. The fact that one is aware of these things shows that the Holy Spirit is at work. The process we go through as we mature in our faith is one that takes time. We cannot fall into the "microwave" mentality of our society. Talk with those you see who are mature in their faith. Allow them to share their experiences with you. Most will tell you they are still on that journey. 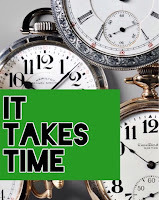 It takes time...and that's ok! Embrace the journey God has given you. It is uniquely yours. Know Him & Make Him Known! END OF THE YEAR STRESS!! My Kindergarten Students Know Me So Well! !